In Carve the Mark, we follow two characters from different sides of the world as they try to break their bondages from the status quo, and as they try to relearn their identities despite the society's preconceptions. With Cyra's and Akos' fates laid out to them and with the gifts manifested to them, the two main characters go from challenging their fates to gaining and winning each other's trust, to surviving and fighting for their lives and for their loved ones'. 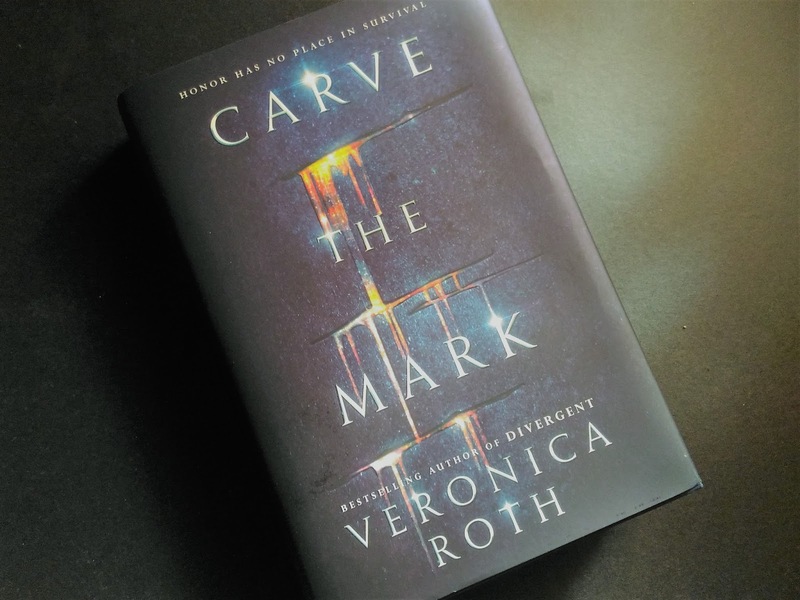 Carve the Mark was a semi-refreshing read for me. Sure we still have the usual YA elements, but there are few elements that I haven't much read about in other YA books. Also, the world-building is something quite new to me. I had a hard time grasping the world-building at first (as I do with other fantasy reads with different worlds). But as I went along, things started to get clearer and quite intriguing. As I got deeper into the story, the focus shifted from trust and loyalty to love, bravery and revenge. And while I am really not into the 'revenge' path, it did set the pace of the story, and consequently my reading. Some scenes, I felt like I could do without. I felt like they just dragged the plot a little bit. And there were also quite a lot happening especially toward the end- Akos', Cyra's, the renegade's, and Isae's quests- that perhaps competed with the main focus of their "mission". Nevertheless, I believe these will set things into action for the next book. Thus, they're something to look forward to. And I am curious how those events will shape Akos and Cyra's future. There are a lot of controversies clouding the book which totally did not occur to me until I glimpsed some of the reviews on Goodreads. These include the glorification of inflicting pain to oneself and to others, as well scarring of oneself. And while none of them resonated with me as I was reading the book, I still acknowledge that these are problem areas. I don't think that glorifying pain and scarring is the author's point in writing the book. But yeah, we are entitled to our own interpretation of plot elements. The point of the book for me is that we can never truly know a person from the surface, from what he or she appears to be, from what the society makes him or her appear to be. Because really, there is more to a person than meets the eye. What the book reaffirmed to me is that we have no right to judge a person without us knowing the truth behind his or her action. Anyway, I am looking forward to reading more of the story and how things will go in the next books, especially since we have a revelation in the end. 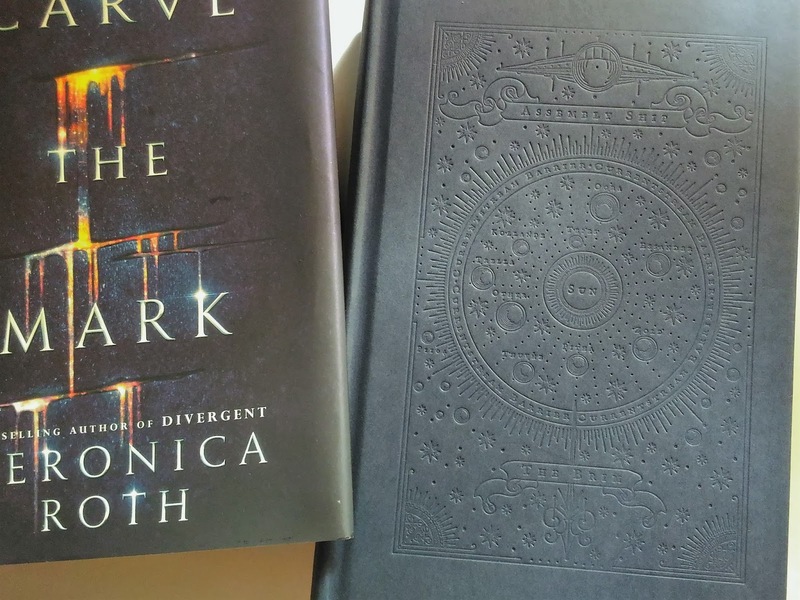 I think Carve the Mark is a good read for a first book in a series. Haha! I believe it did its job in setting the plot and characters. And I'm pretty sure they will develop further along the series. Overall, I may not be 100% amazed by the book, but I still had an enjoyable reading experience. I think most of the scenes were weaved together to support the plot development, as well as the main characters' growth and relationships. 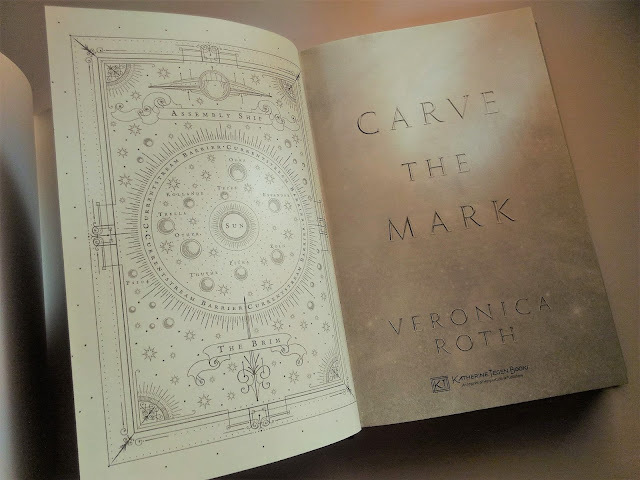 If you are up for a science fiction/fantasy with strong protagonists, and if pain and 'self-scarring' don't bother you at all, go ahead and try Carve the Mark. 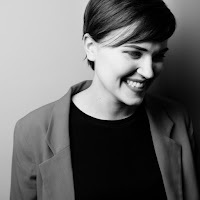 Veronica Roth is the #1 New York Times bestselling author of Divergent, Insurgent, Allegiant, and Four: A Divergent Collection. Ms. Roth and her husband live in Chicago.